Have you ever wondered what types of organizations and resources are available to help Northeast Ohio’s tech entrepreneurs grow their ventures, reach their goals and achieve their dreams? 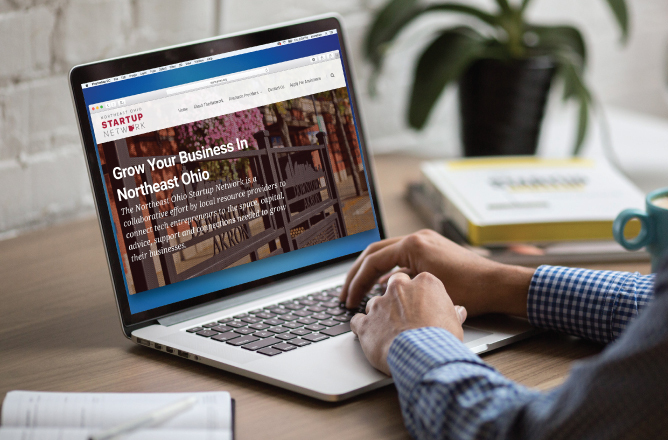 We’re thrilled to announce the launch of StartupNEO.org, the Northeast Ohio Startup Network’s easy-to-navigate directory of local space, capital, advice, support and connections needed to grow your business. Formerly known as the Northeast Ohio Entrepreneurial Signature Program Network—the Northeast Ohio Startup Network is a collaborative group of entrepreneurial support organizations (including JumpStart) who receive support from the Ohio Third Frontier and work together to help entrepreneurs access the resources they need to succeed. This network has helped more than 1,000 companies, who have gone on to raise more than $2 billion in capital, create more than 10,000 total jobs and generate more than $4.5 billion in economic impact for the state of Ohio. Both our new name, and our new website were designed with the entrepreneur in mind. Our goal is to provide an easy way to quickly access information about funding and various other forms of business assistance available in Northeast Ohio. While our name has changed, the mission of our network remains the same—working together to accelerate the growth of young, high potential companies in the healthcare, cleantech, IT and business and consumer products sectors. So, whether you need a quick answer to a legal question or help with the entire process of starting or growing your business, know that the Northeast Ohio Startup Network is here to help. Click here to check out the new Northeast Ohio Startup Network website.